There are a plethora of things to do in Adelaide for travellers from backpackers to families. Adelaide is often overlooked but should not be forgotten by travelers who are searching for a fascinating place to visit in Australia. Founded in 1836, the city lays claim to numerous unique places to visit that are rooted in history, culture and adventure. There are a plethora of things to do in Adelaide for backpackers, couples and families that will excite your inner traveler as you peruse the streets as well as the peripheral areas. Adelaide attractions include stunning historic architecture, lush gardens with waterfalls, world-class museums that explain the ways of the Aboriginal people and incredible wineries within a short drive of the city centre. 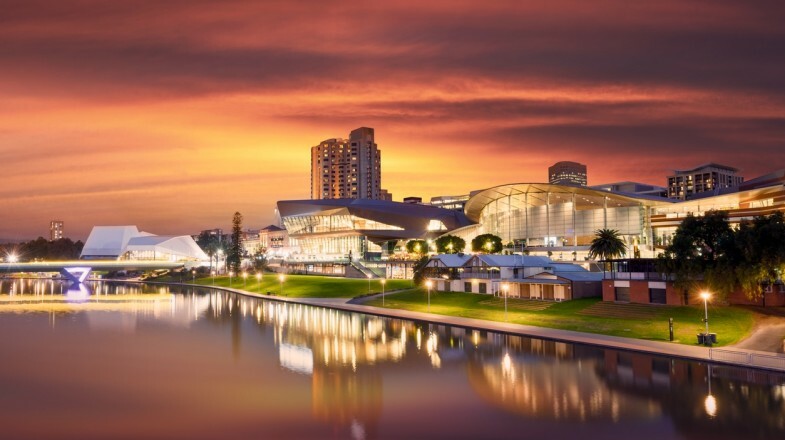 To make planning your excursion to Adelaide a little easier, we have compiled a great list of what to do in Adelaide that will surely help you make the most of your time. 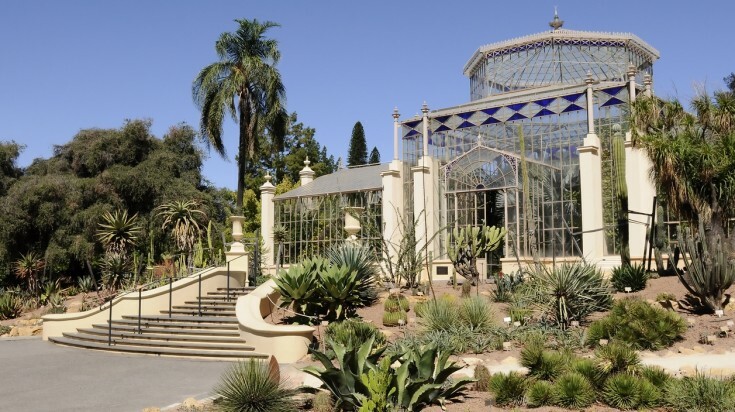 Travelers will enjoy a tranquil visit to the Adelaide Botanic Garden. Flower fans, nature lovers and architectural historic buffs will enjoy a tranquil visit to the Adelaide Botanic Garden. The 51-hectare garden boasts eight specific garden areas including the National Rose Trial Garden, which exhibits 5,000 roses from around the world. There is also more than just horticulture to please the eyes with several historic buildings: the 1881 classical Greek-style Santos Museum of Economic Botany, the Bicentennial Conservatory, a masterful single span glasshouse and the 1877 Palm House, and a one-of-a-kind reconstructed Victorian glasshouse imported from Bremen, Germany. Opening hours: Opens weekdays at 7:15. Weekends and holidays at 9:00. Closing hours are 18:30 February – March and October – November; 17:30 May and August; 18:00 April and September as well as 19:30 December – January. Insider’s tip: Combine this Adelaide activity with a short 500 m walk to the Adelaide Zoo which houses more than 300 species of wildlife from around the world. Barossa Valley is home to the finest wines in Australia. Visit over 80 wine cellars and taste award-winning wines in Barossa Valley. Located about an hour’s drive from Adelaide, Barossa Valley is home to the finest wineries and restaurants in Australia. Visit over 80 wine cellars and taste award-winning wines while savouring local produce. The normally very pleasant weather also makes the valley a great place to enjoy hikes and walks in one of its many conservation parks like Kaiserstuhl Conservation Park and Mount Crawford Forest Reserve. Opening hours: The opening times of cellar doors vary according to the wineries. 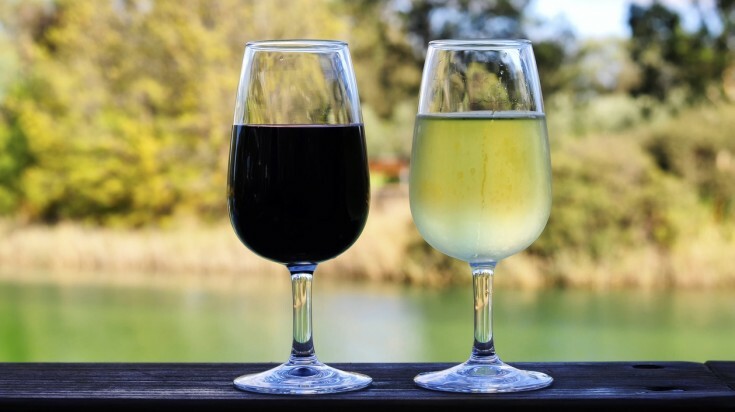 Entrance fees: Fees vary depending on the wineries. 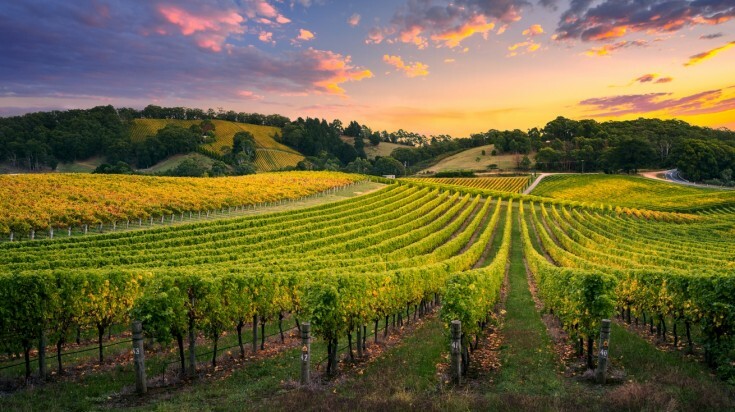 Visit Barossa Valley on this 1-day tour. Another stellar place to see in Adelaide that is packed with culture, history and plenty of historic architecture is the North Terrace Cultural Precinct. Lining the streets are several 19th-century buildings exhibiting Gothic Revival, Colonial, Greek and Romanesque architecture. Housed within these historic buildings are the State Library of South Australia, the Government House, the Migration Museum, South Australian Museum and the Art Gallery of South Australia, which is home to more than 38,000 pieces of art from around the world. Opening hours: Museums are open seven days a week from 10:00 to 17:00. The State Library is open Monday through Wednesday from 10:00 to 20:00, Thursday and Friday from 10:00 to 18:00 as well as Saturday and Sunday from 10:00 to 17:00. The Government House is open for tours on selected days within the year on dates selected by the governor. Entrance fees: There is no fee to wander along the street in a self-guided walking tour. Most museums and the library are free to the public. Insider’s tip: Make this Adelaide attraction a whole day trip that includes numerous museums, gourmet eateries and plenty of boutique shopping. 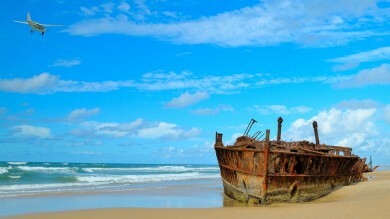 Kangaroo Island is a great destination for a short trip from Adelaide. True to its name, you can find kangaroos on the island. But not just that, Kangaroo Island is home to pristine wildlife and nature. 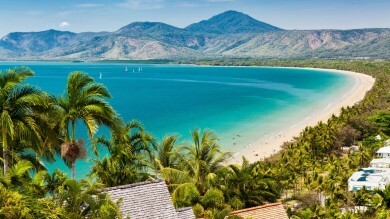 It has recently become a luxury destination for most travelers visiting Australia as this place produces some of Australia’s finest gourmet foods. Visit Flinders Chase National Park to marvel at the Remarkable Rocks, a true marvel of nature. Entrance fees: Entrance to Flinders Chase National Park costs USD 8 for adults and USD 4.3* for children. 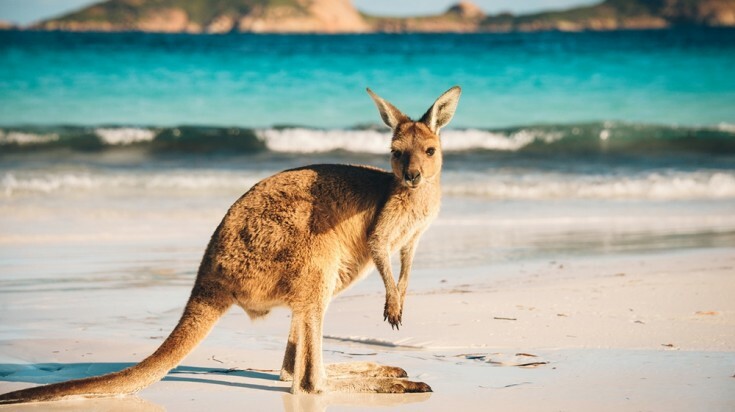 Insider’s tip: Kangaroo Island is larger than what most visitors expect, so make sure to plan an itinerary that allows you to travel comfortably in time. Visit Kangaroo Island on a 2-day tour with this Kangaroo Island Adventure or this Kangaroo Island Wildlife Adventure. The National Railway Museum is the largest railway museum in Australia. There are more than 100 exhibits featuring trains including the Silverton Tramway and Victorian Railways to the three gauges of track like narrow, standard and broad. There are a number of historical buildings onsite such as Callington Station and the 19th-century goods shed. Families particularly enjoy riding the Semaphore train, which rides through the Semaphore coastline to Fort Glanville. Opening hours: Open daily from 10:00 to 16:30. Insider’s tip: Include a stop at the Maritime and Aviation Museums which are within a short walking distance for a perfect day of transportation history. When you need to get a little exercise and fresh air while in Adelaide, then the perfect place is Cobbler Creek Recreation Park. Located 20 minutes from the city centre, the 256-hectare park boasts 17km of shared-use trails that are ideal for hikers and bikers. Families with kids or groups can take advantage of the many BBQ, picnic and playground areas. Enjoy the many trails that wind through the woodland forest and grassland habitats. Opening hours: Seven days a week from 6:00 to 19:00 during winter months from March to August and 21:00 in the summer from September to February. Insider tips: Flower lovers can revel in the autumn months (March to May) when the park explodes with pink and white garland lilies. The Central Market in Adelaide originally opened in 1870. 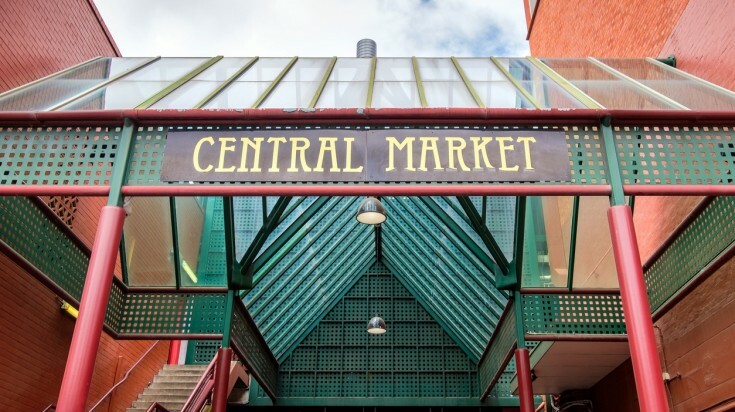 A trip to Adelaide is incomplete without visiting the Adelaide Central Market. Located in the heart of the town, this vibrant market has everything from fresh fruit, vegetables, meat and seafood. Originally opened in 1870, the Central Market still holds the charm of a forgotten time of easy commerce with traders. Opening hours: Closed Sunday and Monday. Open Tuesday from 7:00 to 17:30; Wednesday/Thursday from 9:00 to 17:30; Friday from 7:00 to 21:00 and Saturday from 7:00 to 15:00.
Insider tips: Enjoy a gastronomic experience on Friday nights when many of the small food stalls remain open serving the freshest food in town. Whether you want to watch a cricket game or Australian Rule Football, the newest sports stadium in Adelaide is worth a visit. With a seating capacity of more than 50,000 and perfect sight lines wherever you sit, you can enjoy the action at this world-class stadium. Take an organized tour during the day and view the impressive collection of famed cricketer Sir Donald Bradman’s bats, videos, trophies and more. Opening hours: Tours run daily at 10:00, 11:00. and 14:00. Weekends add a 13:00 tour. Event hours vary depending on the sports calendar. Entrance fees: Tours are USD 17.7 for adults and USD 10.6* for children 5 through 15 years of age. Event prices vary based on the sporting calendar. Insider tips: Take an incredible journey on the Adelaide oval roof climb which takes you above the stadium on the roofline for an exhilarating adventure. Glenelg Beach is a white sand beach with plenty of water activities. 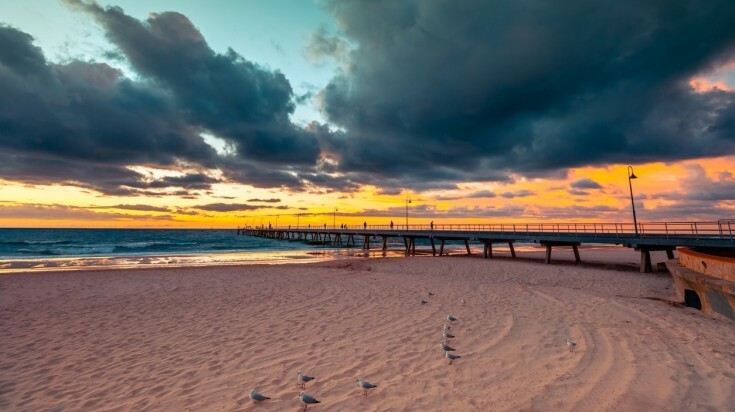 One of the best places in Adelaide to visit for beachgoers looking for sun, a white sand beach and plenty of water sport activities is the Glenelg beachside suburb. Glenelg Beach is situated on Holdfast Bay overlooking the Gulf of St. Vincent. The beach area is vibrant with a promenade named Jetty Road that boasts boutique shops, sidewalk cafes and an assortment of nightlife venues as well as the Beachouse, an amazing amusement park for children. Opening hours: Sunrise to sunrise if you are out and about. Insider tips: The most convenient way to get to Glenelg beach is to catch the tram from the city centre of Adelaide. Opened in 1841 until it closed its doors as a jail 1988; 300,000 prisoners that stepped foot in South Australia resided within the Adelaide Gaol. Today, the Adelaide Gaol is a masterful piece of frightening historic architecture which saw some 45 people executed over the years. Many locals say that you can hear the souls of the executed prisoners as you walk the grounds. Opening hours: Daily from 10:00 to 16:00. Entrance fees: USD 10.30 for adults and USD 6.40* for children. Insider tips: Take an evening tour that will definitely get your ghost on. Experience the glitz and glamour of Adelaide’s newest shopping district, Rundle Mall. Rundle Mall is an ideal pedestrian style mall that is loaded with entertainment and shopping that includes high-end merchandise to souvenirs. With numerous buskers filling the streets, the mall is a splendid place to enjoy a beautiful Adelaide day or night. Opening hours: Monday through Thursday 9:00 to 19:00, Friday 9:00 to 21:00, Saturday 9:00 to 17:00 and Sunday 11:00 to 17:00.
Insider tips: Check out the bronze pigs along the street way named Truffles, Oliver, Horatio and Augusta, while you marvel at the 19th-century architecture of the area. Cruise on Torrens River and sail through the city. 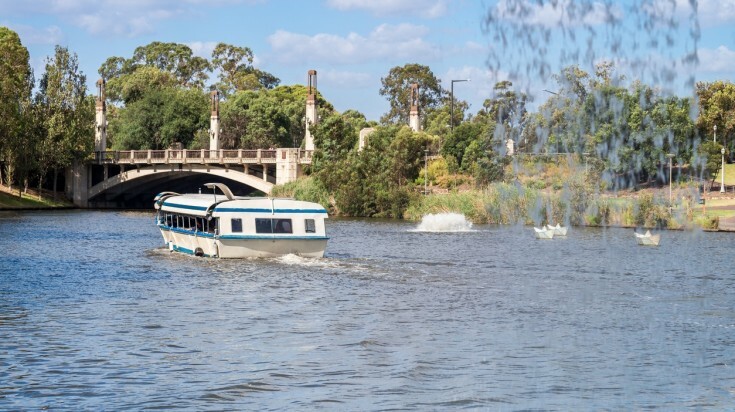 A cruise on the River Torrens gives visitors a relaxing and interesting viewpoint of Adelaide. Winding through the centre of the city, the River Torrens is home to banks loaded with beautiful scenery that ranges from the Adelaide Zoo to Elder Park Rotunda and hundreds of iconic buildings. There are several ways to enjoy the river, via kayak, in a Venetian-style gondola or by paddle boat. Entrance fees: Prices vary depending on the type of water travel. Insider tips: Try a boat cruise with Popeye which has been operating boat excursions on the River Torrens for more than 75 years. The Tandanya National Aboriginal Cultural Institute sports an incredible venue highlighting aboriginal arts from the local Kaurna people and Torres Strait Islander culture. The traditional owners and current custodians of the surrounding Adelaide Plains, the Kaurna, have been instrumental in bringing their culture to visitors in a stimulating and fun way. The institute is the oldest Aboriginal owned and operated cultural centre in all of Australia and is a must-see place for aboriginal art and culture. Opening hours: Monday through Saturday from 10:00 to 17:00.
Insider tips: For a fascinating look at the culture, try to plan your trip when there are live cultural events that include traditional costumes, music, dancing and storytelling. If you are still wondering what to do in Adelaide, then you should stop by the Cleland Conservation Park. Located 20 minutes from the city centre, Cleland Conservation Park is home to Mount Lofty, which sports a panoramic view from 727 meters above sea level as well as a nice hike to Waterfall Gully Reserve where you can witness the tumbling waters of First Fall. Also contained within the park is the Cleland Wildlife Park which is home to numerous species of native flora and fauna including koalas. Opening hours: The conservation park is open 24 hours daily and the wildlife park is open daily from 9:30 to 17:00. Waterfall Gully is open daily from sunrise to sunset. Entrance fees: Cleland Conservation Park is free. The Cleland Wildlife Park charges USD 17.75 for adults and USD 8.5* for children 4 years to 15 years old. Insider tips: Try one of the many wildlife experiences available at the wildlife park that range from holding a koala to a nighttime hike called the Cleland Wombat Experience. Carrick Hill is a fascinating English-style manor. A superb Adelaide attraction that will fascinate history buffs and natural landscape lovers is Carrick Hill. The English-style manor was constructed in 1939 on 40 hectares of land out of which 26 hectares are unspoiled native bushland. 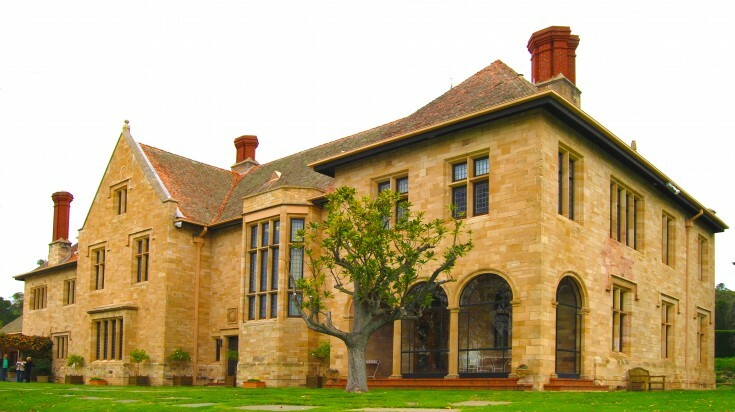 The house-museum is one of the few remaining estates in Australia and is loaded with fine arts as well as period furnishings from the 17th through 20th centuries. Opening hours: Wednesday through Sunday from 10:00 to 16:30. Entrance fees: Walking the grounds is complimentary. The Manor Museum is USD 17 for adults and USD 25.5* for families. Insider’s tip: If you are travelling with young ones, book one of the many interesting tours such as Peter Rabbit’s Garden or the Children’s Book Walk. Well, there you have your list of what to do and what to see in Adelaide. As you can see there are many things to do in Adelaide that makes this a special place for all types of travellers. Now all you need to do is make your visit to Adelaide a reality and check out all the Adelaide attractions for yourself. *Note: Prices mentioned are as of January, 2019.